When searching for an attorney for any type of legal issue, it is important to find someone you can trust. This is especially true for cases involving your health, finances, or business. The legal team of John V. Tucker in Tampa Bay, Florida, offers a free initial consultation so you can come to the office, meet us, and decide if we are the right lawyers for you. We have the resources, experience, and ability to guide your case to the best possible outcome. 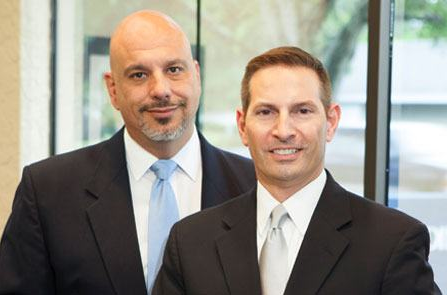 Our attorneys have been practicing law in central Florida for over 24 years. Our expertise and legal ability are proven tools for injury victims to get the compensation they deserve. In fact, our attorneys have earned AV® Preeminent™ Peer Review RatingsSM from Martindale-Hubbell®, an achievement that demonstrates the respect of the Florida legal community that we have earned. Our compassionate service and professional manner in handling your case are present throughout your relationship with us. We get to know our clients and inform them about their legal options. We return all calls and emails. Honesty. We are straightforward and up-front about your options and possibilities in negotiation, mediation, trial, and appeal, if it comes to that. The only way to run a successful law firm that pleases its clients is with candor and integrity. Communication. We respect our clients’ needs to know about the progress of their claims. We email and call our clients, and we are available to discuss your changing case when you have questions. Balance. We work with you to determine the best legal action for your case and for your life. Excellence. Our legal practice grows each day by word-of-mouth referrals from former clients and new ones. This is possible because we offer our top legal service to each client, resolving claims efficiently and effectively. Success. We tell you if achieving a reasonable settlement or trial verdict is realistic in your case. John V. Tucker and his staff are committed to providing high-caliber legal representation in a wide range of disability claims, securities, and commercial litigation matters. We serve individual clients and businesses on the local, state, and national levels from offices in St. Petersburg and Tampa Bay. When you have a legal issue that needs attention, trust the attorneys who are willing to fight for you. Contact John V. Tucker today.